This is a mini package service for local city tour usages. We offer this service for half day car hire services including Airport Transfer in Nainital, Car rental service for Marriage, party and event, Corporate Cab Rental in Nainital, Railway Transfer, visiting hospitals and a lot more. At My Taxi India, we offer special packages for outstation travel. These are a perfect choice for weekend getaways, trip with friends, excursions, and family leisure trip outside the city limits. Here, we will take special care of your interests and requirements before arranging for a package. We also arrange for group packages from Nainital to places nearby. The cars sent across will accommodate group size to ensure maximum convenience. This is an emblematic to and fro service in Nainital for those interested in making to and fro trip to Nainital. The service is available for multiple destinations from Nainital. The package has been fashions one way service to those who require one way drop to their destinations from Nainital. The packages listed above are designed keeping in mind specific requirements of Nainital travellers. We also offer special Nainital city sightseeing tours and any other customized cab rental packages. 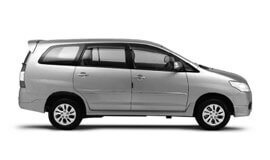 At My Taxi India, we guarantee the best car rental services in Nainital at highly affordable prices. The weather of Nainital is pleasant all through the year. Summers are mildly warm and very cold during winter. The place experiences during the months of December and February. From June to September, Nainital experiences torrential rains. Presently, according to census 2011 the total population of Nainital is nine lakhs fifty five thousand one hundred and twenty eight (9,55,128). Tourism is the main business in Nainital. The place is loaded with a number of high quality hotels and restaurants. Tourism is from where most of the revenue of the local people and the government come from. Other businesses include that of flour mill, baked goods, jam, pickle, spices, and agriculture of crops such as jhangora, wheat, maize, bhatt, and taur. The industries of Nainital majorly deal with paper and candle works. Nainital is about 286.4 km from the capital city of India, Delhi. It is a scenic hilly town nestled in a basin that houses a lagoon in the shape of a pear. The pictorial destination has a lot to offer to its tourists. Some of the must see plces in this exquisite hill sttion include Naini Lake, Naina Devi Temple, Naina peak or China peak, The Mall Road, Dorothy's Seat, Snow View Point, The Governor's House (Raj Bhavan), Nainital Zoo, St. John's Church, Bhimtal, Sattal, Kausani, and Ranikhet.